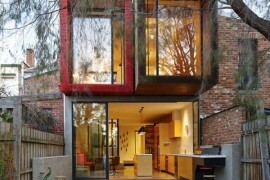 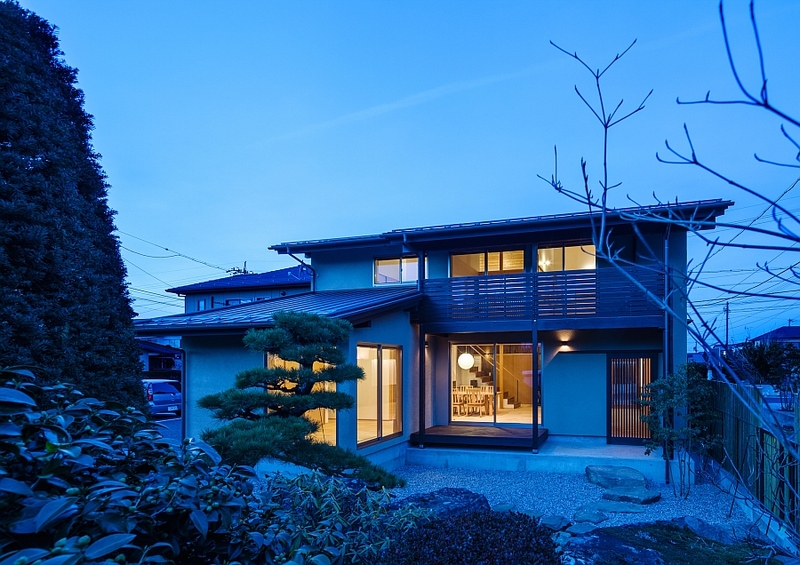 Trying to build a traditional and tranquil home in a modern city can be a challenging task. 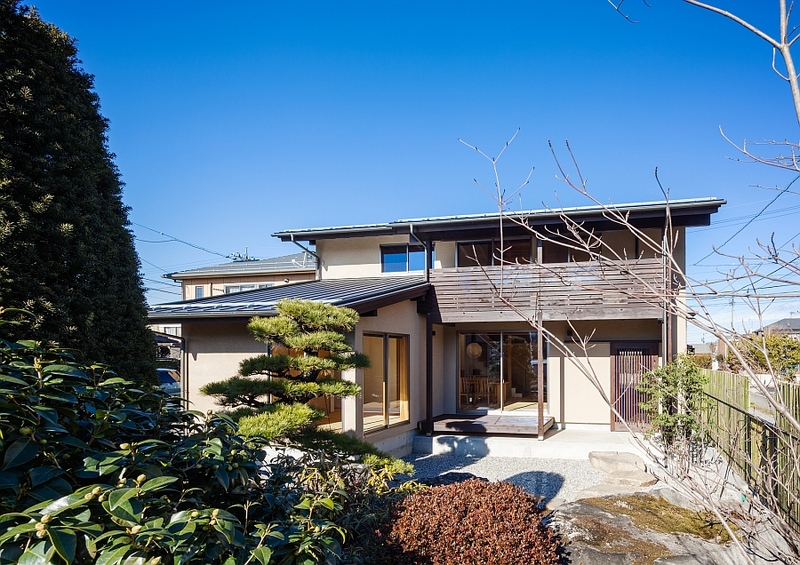 A classic Japanese home is often the best way to get around this problem. 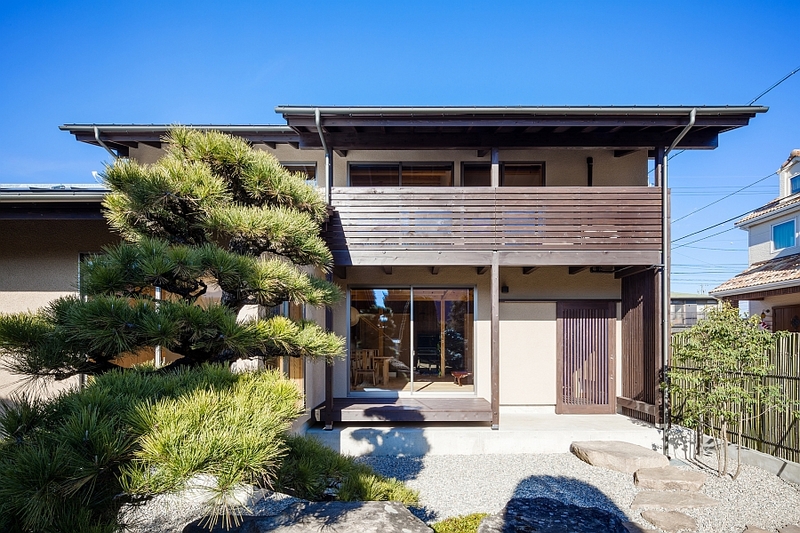 Bringing together the tried and tested design essentials of Japanese architecture and an elegant modern style, the gorgeous Cocoon House in Shiojiri, Nagano is a perfect example of the best of both worlds. 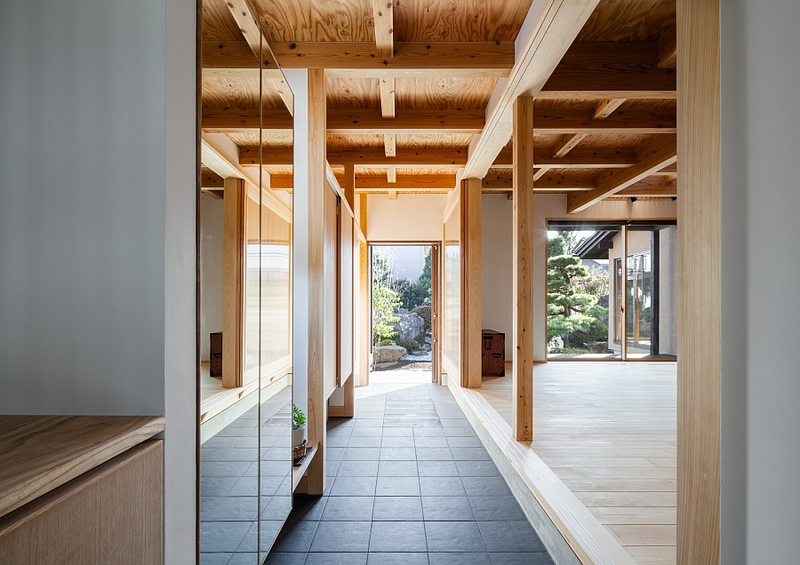 Crafted with care by Studio Aula, every element in the home reflects serenity, simplicity and inherent care for the globally loved Japanese way of life. 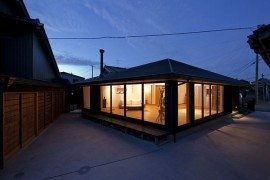 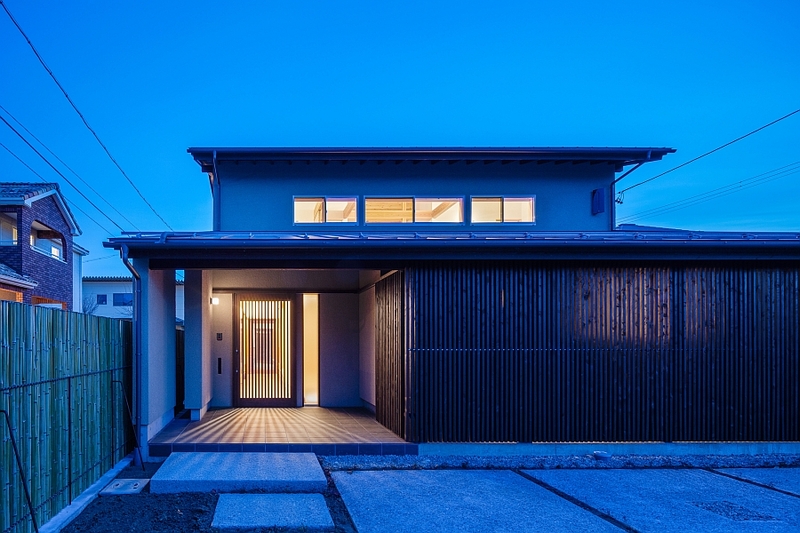 The owners of the house include a family in their fifties with a couple of kids, as well as their mother, who wanted a house with the aura of a timeless Japanese design. 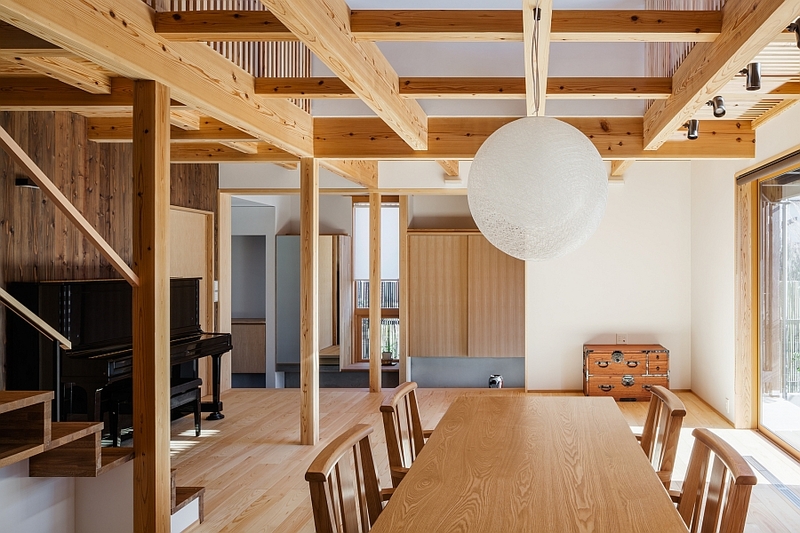 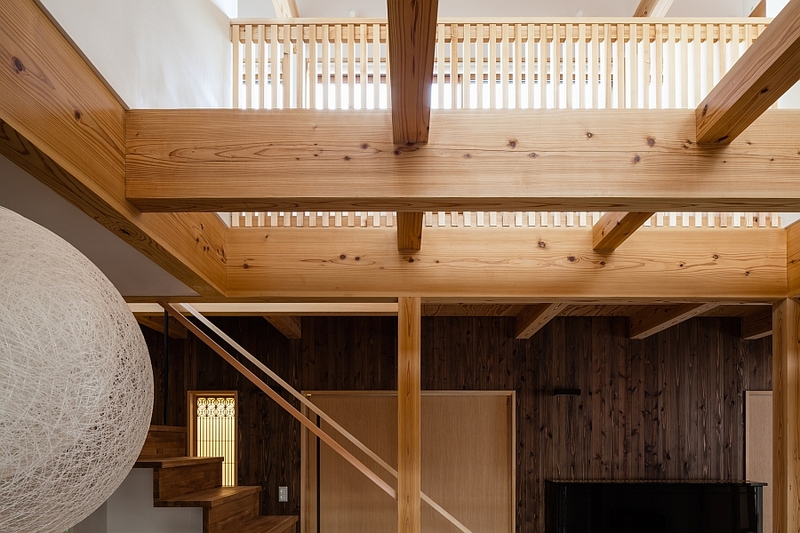 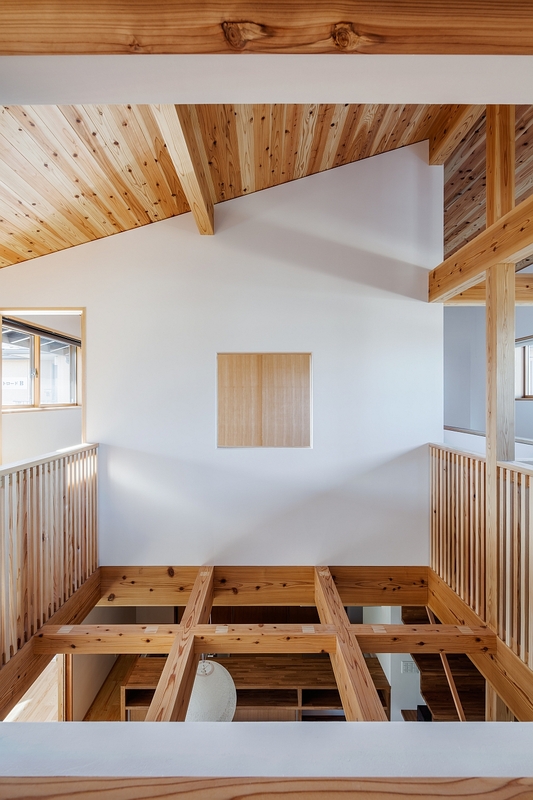 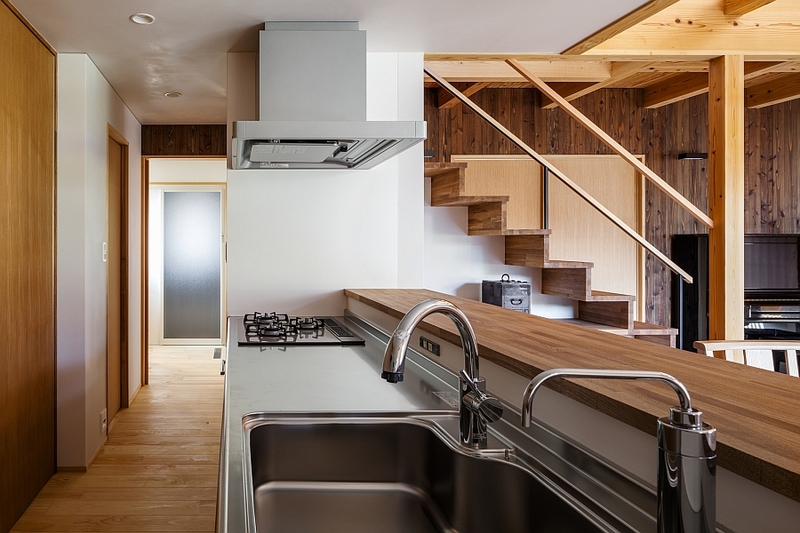 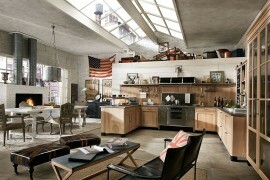 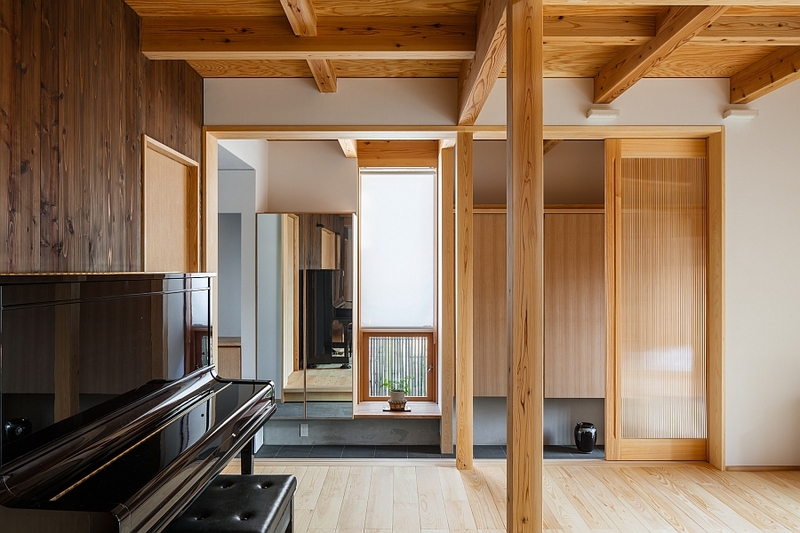 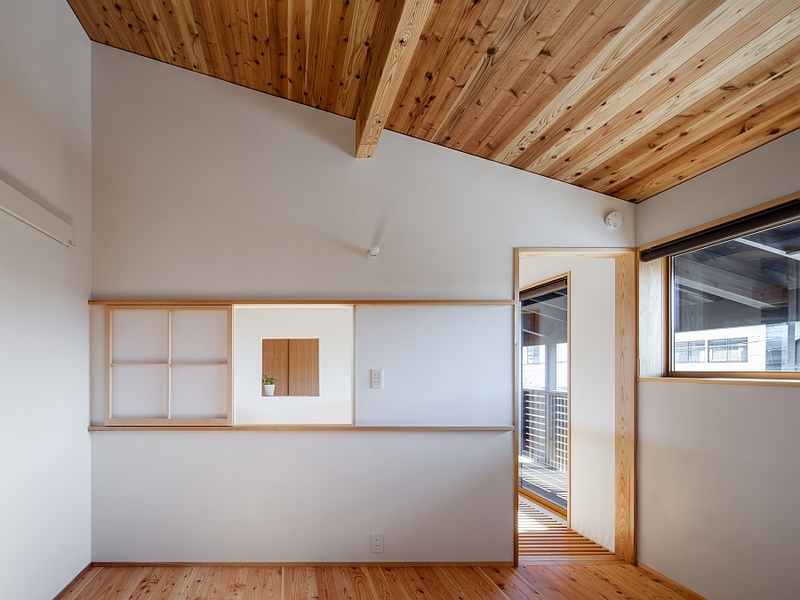 The interior is clad largely in Japanese cypress that has been brought from the family’s farm in the forest near Kiso. 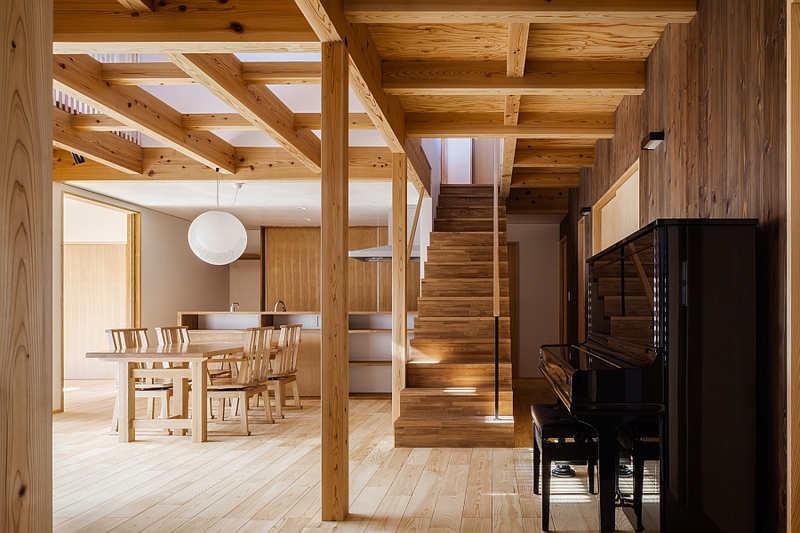 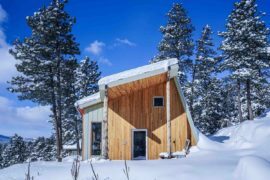 The idea was to design a home whose aura was as close as possible to the homeowners’ previous farm house clad in wood, paper and concrete. 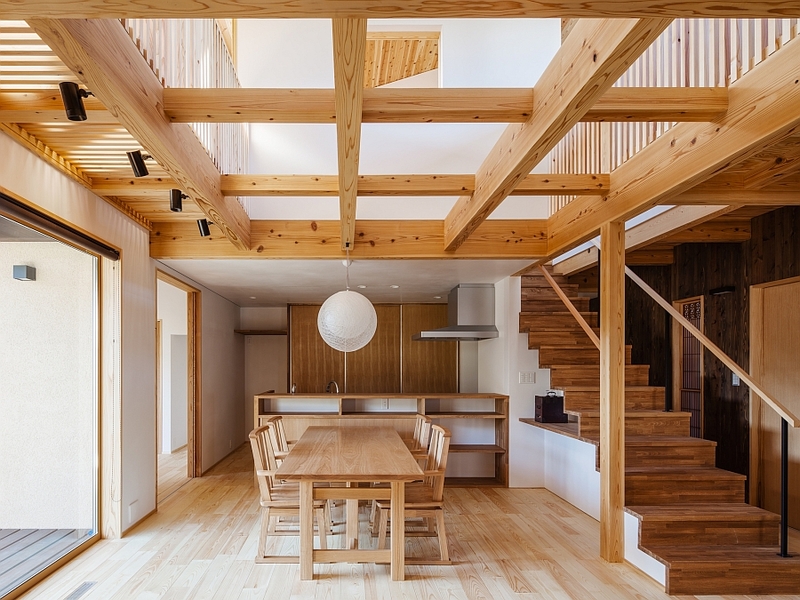 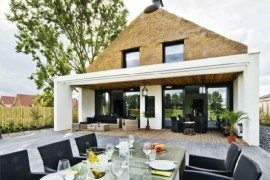 Criss-crossing wooden beams make up the most prominent feature of the home and allow natural ventilation to make its way through to the top level. 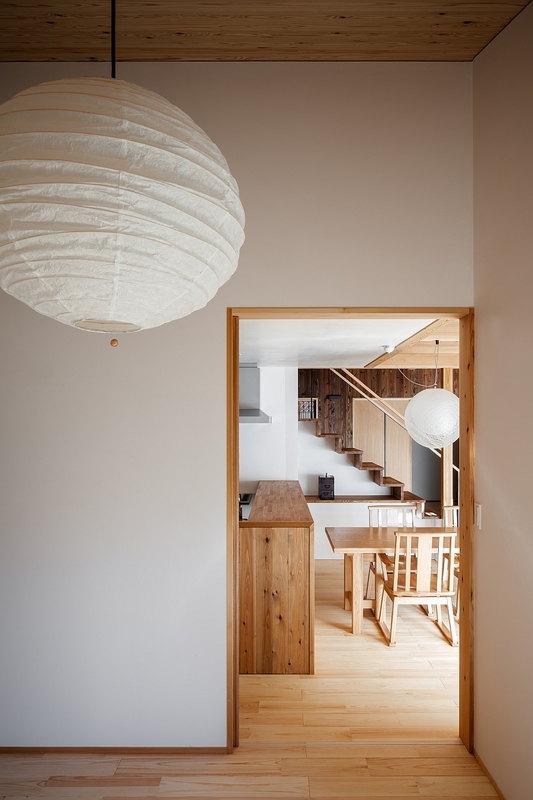 Minimal and understated, the decor is also kept as simple as possible with large pendants and paper lanterns stealing the show. 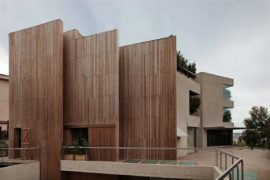 While the first floor houses the private spaces, the lower level holds an open-plan living area, along with a smart bedroom that leads to the revamped garden. 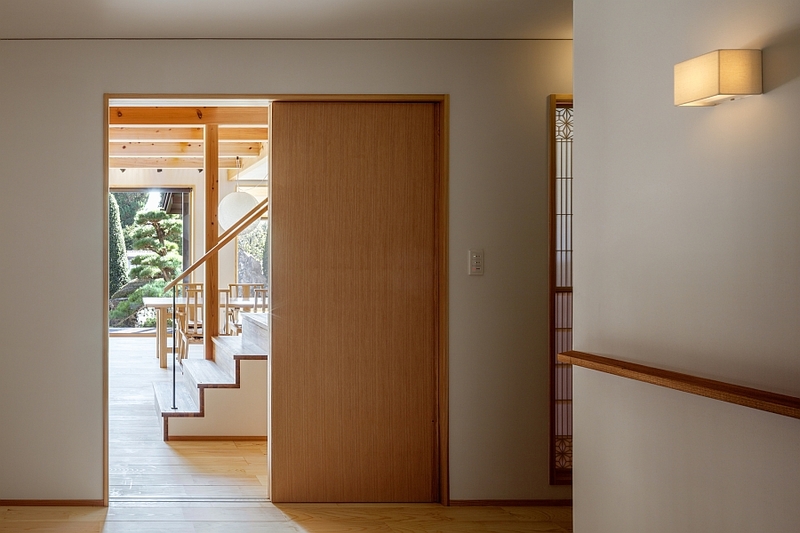 With sliding glass doors, translucent panels and shoji screens, the switch between privacy and open, flowing interiors is seamless indeed. 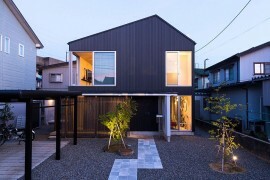 We have also done the makeover of the garden. 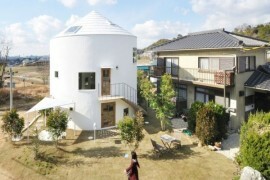 The old one was conventionally symbolic with chunks of stone work allegedly representing a ship on the sea. 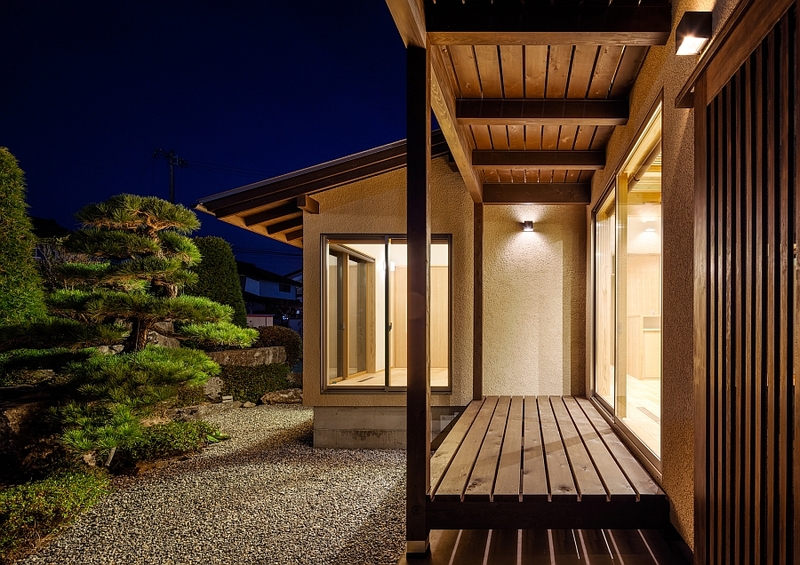 But we redefined it to satisfy the quality of life converting the steppingstones into a pathway.